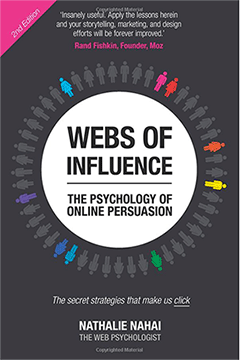 The second edition of Nathalie Nahai’s book Webs of Influence: The Psychology of Online Persuasion will be out on March 19, 2017, from FT Press. Nathalie has kindly provided me an early copy for review. I had not read the first edition, so was coming to this edition with fresh eyes and an open mind. Nathalie describes herself as a Web psychologist, international speaker, author, and consultant who has worked with Fortune-500 companies, helping them apply scientific rigor to their Web-site design, content marketing, and products. The first edition of this book reached Number 6 in Amazon’s Retail category. Nathalie Nahai [works] with Fortune-500 companies, helping them apply scientific rigor to their Web-site design, content marketing, and products. In this book, Nathalie discusses “the secret strategies that make us click.” The book’s audience is digital marketers, product designers, and Web designers. Natalie’s background is in psychology and digital strategy, and it’s good to see someone with solid academic credentials positively influencing digital design. Each part starts with a two-page visual summary of the content, in the form of an infographic, which serves as a useful aide memoir once you’ve read the book. The format of the book is very well thought out. I spend a lot of time reading on the train, and the book’s form factor—roughly 6 by 9 inches—is ideal for reading on cramped British trains without elbowing one’s fellow passengers. 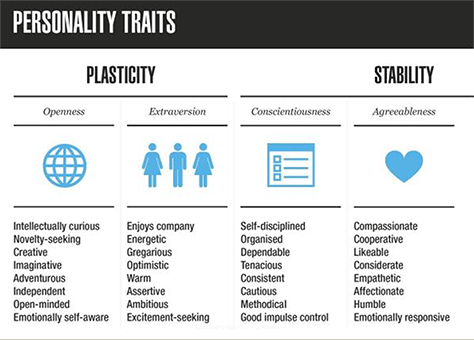 Part 1 makes extensive use of global rankings for personality facets…. 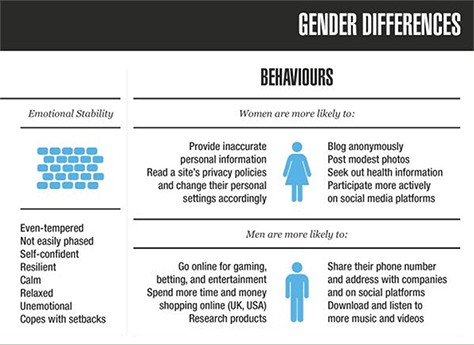 The first part of the book, “Know Who You’re Targeting,” opens with the useful infographics that are shown in Figures 1–4, which provide examples of the visual summaries that I mentioned earlier. For me, Nathalie’s list of ways to make these insights work acts as a useful checklist. 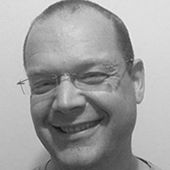 Even those items that may not seem to apply to a particular audience are worthy of consideration. Different parts of the brain become active when a person sees something beautiful versus something that is ugly. I have to confess to having had some serious misgivings when I started reading “Part 2: Communicate Persuasively.” The infographic at the beginning of Part 2 includes a section on the psychology of color, which associates red with danger, green with relaxing, and so on. This immediately set my alarm bells ringing. I’ve seen far too many articles online make grandiose claims about how people interpret color that simply are not backed up by any evidence. However, I was pleasantly surprised to read a well-considered piece on the psychology of color, which acknowledges the rather trite, pop-psychology perceptions that exist, but then substitutes an evidence-based approach and presents the supporting evidence in a balanced, nuanced way. 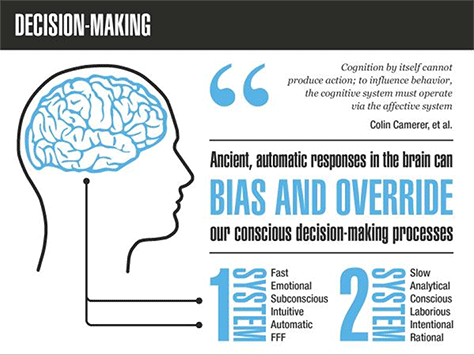 In a similar vein, I find claims relating to fMRI studies frustrating. So many of these claims are made based on such dubious evidence that this field of psychology may come across more as a type of marketing than as a scientific field. Many make claims of causation when only simple correlation exists. But here, too, the claims the author makes are generally fairly well balanced—or perhaps they’re included just for general information. For example, the author mentions that different parts of the brain become active when a person sees something beautiful versus something that is ugly. This is intellectually interesting, though of little practical use, but the weight the author gives to this finding reflects that. For designers working on the Web, this part of the book covers a lot of familiar ground: experience on different devices, calls to action, trust, the use of images and social media, and more. Normally, I’d skim over this type of content, but it was interesting to read familiar material that the author addresses in a fresh way. “Part Three: Sell with Integrity” addresses a subject that is familiar to many UX designers as “Persuasion, Emotion, and Trust,” with a healthy dose of behavioral economics in the mix. This is arguably the most practically useful part of the book for UX designers, who are looking to craft effective copy. Although prominent experts in this field include Daniel Kahnemann and BJ Fogg, the strength of the writing in this book and the practical examples it provides really makes this part work well. Now that I’ve read her book, I wish I’d read it sooner. The first edition of Webs of Influence was a tome that I’d felt, for a long time, I should probably read. I’ve enjoyed Nathalie’s podcast and other writings, but reading her book had remained another thing on my to-do list. Now that I’ve read her book, I wish I’d read it sooner. I plan to recommend this book to my friends and colleagues who design user experiences for the Web. While UX professionals with some grounding in the science behind design will get the most out of the book, it also provides a really good, practical way to learn how to apply psychology to design for those of you wanting to gain a basic understanding of human psychology. Buy the second edition of Nathalie Nahai’s book Webs of Influence: The Psychology of Online Persuasion on Amazon.